English Mountain Recovery for men and women is the perfect place to begin your addiction rehab and continue your recovery process and ongoing journey toward sobriety. Our rehab center is a 36-bed residential treatment facility, so we’re small enough to provide you or someone you love with personalized attention and an individualized gender-specific treatment plan. Clients come to us from all corners of the U.S. to take advantage of our unique addiction treatment program located in the beautiful and serene Smoky Mountains of East Tennessee. When you or a loved one is ready to stop using and begin on the path toward sobriety, the professional and dedicated clinical staff at English Mountain Recovery will review and assess your needs and determine if we are an appropriate addiction recovery center for you. If we are not an appropriate facility, we will be glad to assist you in finding a program that better fits your needs. English Mountain Recovery accepts and processes medical insurance for treatment. Please contact our admissions department today to verify the benefits covered by your medical insurance provider. Program discounts are available. 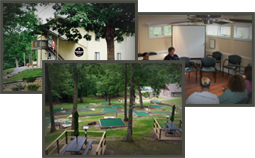 English Mountain Recovery is a true residential inpatient rehab center. Our all-inclusive drug and alcohol rehab is an affordable program and has among the highest recovery success rates in the industry. Please talk with our confidential admissions director to see if your insurance will cover your rehab stay first. Contact us today for more information by calling (877) 459-8595 or reaching out online.